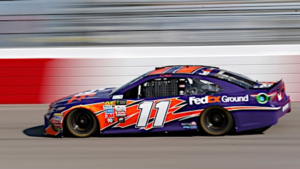 Note: Below is a Fantasy NASCAR Richmond Raceway preview article from Wheels (@DK_Wheels) and PJ (@PJFrapDFS) of the Power Hour DFS (@PowerHourDFS) crew. Race number 9 bring us to Richmond which means back to back short tracks! Yes please, may I have another!? Richmond Raceway is a 3/4 mile D shaped short track. For years Richmond has been the last race before the playoffs and it has certainly been fun to watch the go to battle under the lights. However this year Richmond moves into the playoffs so this race is going to carry a little bit more importance. Teams will not only be trying to run well this weekend but also making sure they take plenty of notes so they can have an idea of what the car is going to need when the series comes back when it really matters. Kyle Busch/Kevin Harvick - Front and center of the NASCAR world right now and easily the two hottest drivers in NASCAR. Harvick with three consecutive wins and now Rowdy reels off consecutive wins, looking to match Harvick's three in a row this weekend. Both have stout Richmond numbers to go along with their current form; Harvick three top 5's over his last two seasons at Richmond and Rowdy has four wins and 15 T5's in 25 tries. 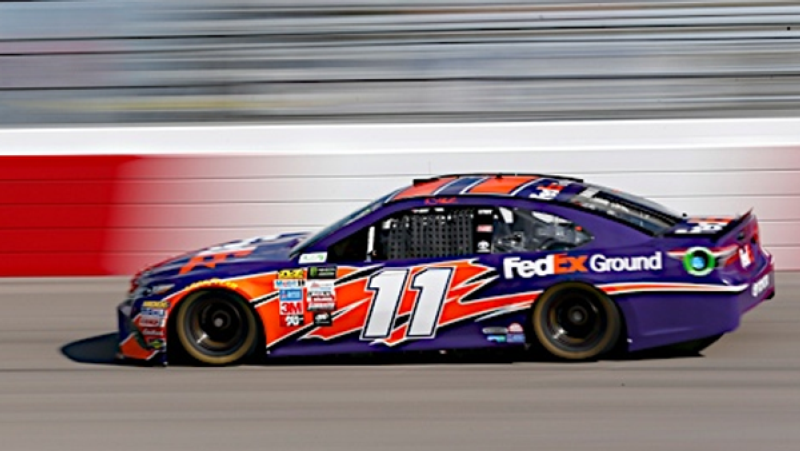 Denny Hamlin - Richmond has always been a place to target Hamlin, and this week is no different. He leads all current drivers in laps led with 1,600+ and yes, some of these stats are meaningless if they haven't been backing up their career numbers with their recent numbers, because of many variables from the cars to the tracks changing over the years; but Hamlin's current Richmond form is there as well with three top 5's and a win over his last two years and an average finish of 3.75 during that stretch. Martin Truex Jr. - How can you leave Truex out of the mix? Gibbs/Furniture Row has combined to lead ~72% of the laps over the last four races here at Richmond… 72%!? Truex has accounted for ~24% of those himself, leading 391 laps. Between the non-eventful Martinsville race, the crazy/abnormal Texas race and the two-day Bristol race that collected Truex in one of the many wrecks, it appears people have forgotten the major gains that the #78 has found out on the west coast not long ago. 4 DK avg all-time, and the leading car in that Joe Gibbs garage, so look for Rowdy to be at the point this weekend under the lights! I feel like Truex could go a little overlooked this weekend, but I am looking forward to playing him this weekend! 9 DK avg (last three years); however, most of those points have been in the fall race, but again I think he goes over looked simply because of recency bias…but has the upside to run away with the top score here under the lights. We will continue to play Daniel regardless of the situation at this low of a price in a Joe Gibbs car! Daniel had a great Bristol race after many thought his injured hand would play a factor, but it held up nicely and yet his price is still down in the weeds!? McMurray seems to keep popping up as a value play between his price and his poor qualifying efforts, and as his price stays down we will be looking at him early on again this week. Too good of a driver at a place that doesn't require all the speed in the world, he is firmly in play again this week. This price is just silly! Draftkings will never get the pricing right for Front Row Motorsports, so we shall just keep taking advantage of it!